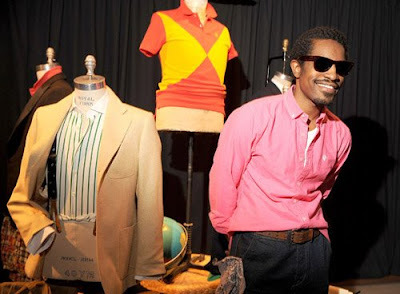 MaleStyle Review: ANDRE "3000" BENJAMIN BLOOMS SPRING COLLECTION! 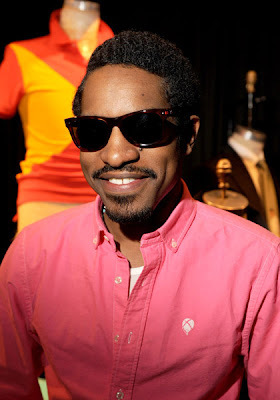 ANDRE "3000" BENJAMIN BLOOMS SPRING COLLECTION! Two months before attacking Miami’s searing sands, I was engaged in conversations about the future succession of Benjamin Bixby store shelf life. What brought the discussion topic were the astronomical markdowns the collection met in BARNEYS New York at the time. My remark response to the topic was lukewarm after assessing the soaring price cuts. Mr. MSR same lukewarm response drummed up to mild-hotness last week. 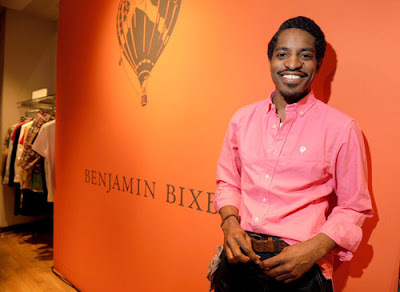 While scrolling through SteelCloset.com (another awesome lifestyle blog) I happened to catch Andre Benjamin lively posing alongside B.B. Spring/Summer ’09 collection at HOLT RENFREW (Barneys and SAKS version for Canada). Nothing new graced within the collection, but I am anticipating Benjamin’s Bixby Fall preview. At that point, I am hoping my mild-hot feelings towards the brands longevity brews to sweltering. PS: I dig the bubblegum crushed-cotton oxford on Andre! !